Mick Burns, Chainsaw Sculptor, Gallery 22.218. Relationships? 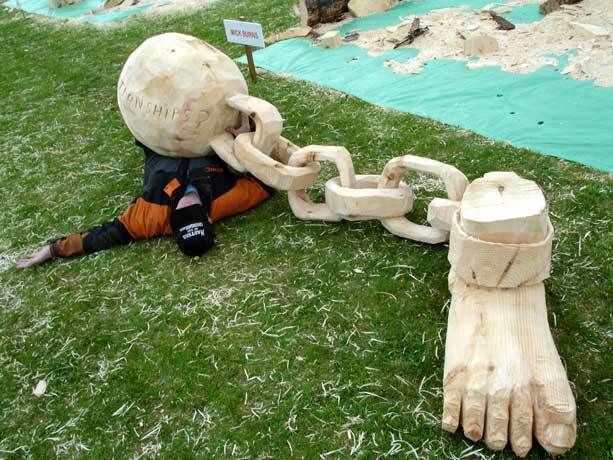 A fun carving created at the "Carve Carrbridge" chainsaw carving competition in 2007. Competition is a four hour, chainsaw only, event.